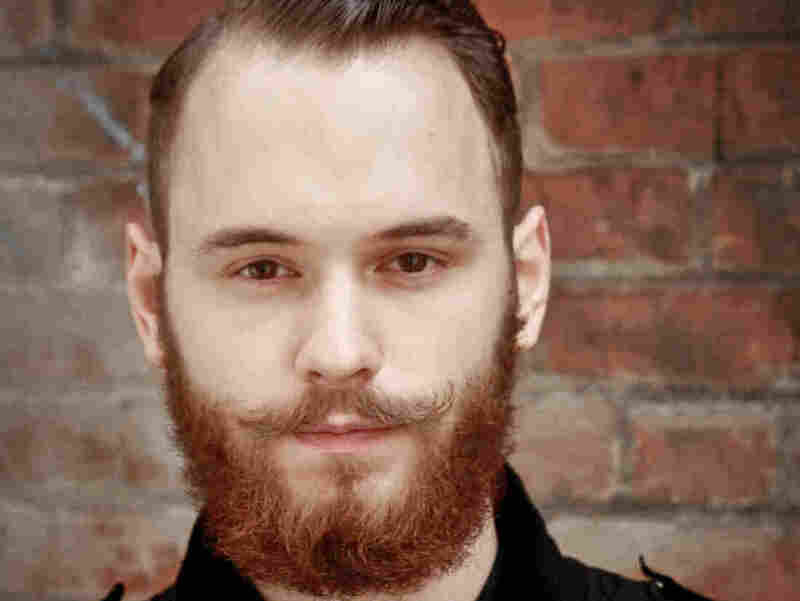 Young Composer's Work Dropped For Use Of Nazi Anthem : Deceptive Cadence The New York Youth Symphony canceled its Carnegie Hall performance of a piece that it recently premiered by Estonian-American composer Jonas Tarm. At issue is his use of a Nazi theme. 21-year-old Estonian-American composer Jonas Tarm. It was supposed to be a celebratory occasion, a high-profile performance of a piece given life by the orchestra that commissioned it — a young composer's music played by other young musicians. Instead, the performance scheduled for Sunday of Jonas Tarm's music at Carnegie Hall by the highly regarded New York Youth Symphony (NYYS) has been canceled after it came to the attention of the ensemble's administration that the piece contains a quotation from the Nazi "Horst Wessel Lied." Born in Estonia, Tarm is a 21-year-old composer studying at the New England Conservatory in Boston. In 2014, he won the "First Music" prize from the NYYS, which resulted in the commission of a piece to be played by the orchestra at Carnegie Hall. Within the 9-minute piece called, in Ukrainian, Marsh u Nebuttya (March to Oblivion), Tarm says he used two musical quotes, each about 45 seconds long. The first is the anthem of the Ukrainian Soviet Socialist Republic, the second is a Nazi anthem, the "Horst Wessel" song. Tarm maintains that a piece of music should not necessitate further verbal explication. As such, he did not volunteer to tell the NYYS he was making those musical quotations within his piece, nor did he provide any background or context about his artistic intentions to the orchestra. Absent those conversations, what resulted was that a group of youthful musicians — many of them well under the age of 18 — were unknowingly performing music they (and their parents and guardians) may have strongly objected to, whether or not they understood Tarm's artistic ideas and the context of his piece, which he now describes on his website as being "devoted to the victims who have suffered from cruelty and hatred of war, totalitarianism, polarizing nationalism — in the past and today." Tarm turned in the Marsh u Nebuttya score in September. Rehearsals began in December and the piece was premiered in a NYYS performance at Manhattan's United Palace Theater Feb. 22. The composer wasn't able to attend that performance, but he said he was contacted afterward by NYYS conductor Joshua Gersen. The composer says Gersen told him the performance went "quite well," aside from technical details that needed further rehearsing. In addition, Tarm claims that a friend of his in the audience told him that the piece was "well received by the audience." The project fell apart after that first concert. According to interviews the NYYS' executive director, Shauna Quill, gave to the New York Times and to the Wall Street Journal yesterday, the orchestra was not aware of Tarm's quotations until after the piece's world premiere at the United Palace Theater, when one audience member sent a letter of complaint to the orchestra, signed "A Nazi Survivor." Tarm says that the first and only conversation he had about his work's content with the orchestra came March 2. And that at that point, NYYS made it clear to him that their decision to cancel his piece on their Carnegie Hall program was final. "I was never contacted before to explain myself and my artistic views," Tarm says. "That was never an opportunity I was given." "I strongly believe that the music should speak for itself," he continues. "This is the most disappointing thing about the situation for me. I felt like I had something important to say, musically speaking, and I was not able to say it. Shostakovich, Mahler, Beethoven — you cannot find any official program notes they provided at their concerts, describing what the music means to them." That poetry is an excerpt from The Hollow Men by T.S. Eliot — someone infamous for his anti-Semitism. Was that citation meant to add fuel to the fire? Tarm claims not to have been cognizant of Eliot's anti-Jewish writings. "I was not aware of that context of his life," Tarm says. "I had no idea about that." Our inquiries to the New York Youth Symphony were referred to Kimberly Kriger, a spokeswoman from Kekst and Company, a crisis-management PR firm whose team includes NYYS board member Ruth Pachman. In a lengthy press statement issued today, the organization responded, "The first time the composer revealed the source of his music was on Mar. 2, in response to our inquiry [about musical sources] ... When asked to explain the context and meaning of the piece, which would justify his use of this source, he refused." The NYYS release continues: "This was his obligation to our orchestra as a commissioned artist and particularly important given the fact he was working with students, ages 12-22. Had the composer revealed the sources of his piece and the context under which they were used upon submission of the final commission in September 2014, the piece and the notes could have served as an important teaching moment for our students. However, without this information, and given the lack of transparency and lack of parental consent to engage with this music, we could not continue to feature his work on the program. Again, if the composer had been forthright with us from the start, this situation would not have transpired." The NYYS declined requests for further comment from Quill and Gersen.